This item is available for pick-up or purchase in-store ONLY. The 4 ft. x 8 ft. x 3/8 in. Standard Spruce Plywood is a highly stable panel. It is a highly impact-resistant panel and continues to perform even when wet. It is used for wall, flooring and roofing projects, both interior or exterior. The 4 ft. x 8 ft. x 3/8 in. 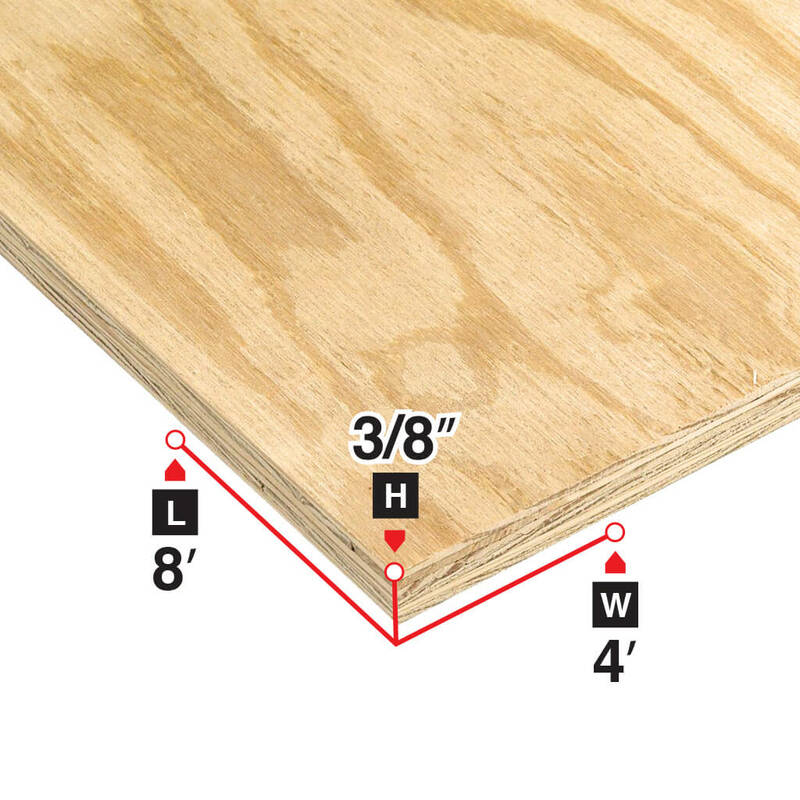 Standard Spruce Plywood is a highly stable panel. It is a highly impact-resistant panel and continues to perform even when wet. It is used for wall, flooring and roofing projects, both interior or exterior. Size 4 ft. x 8 ft. x 3/8 in.